Find a crowd who appreciates different cuts and different brews when you post the Steak & Beer Flyer before your flavorful festival. 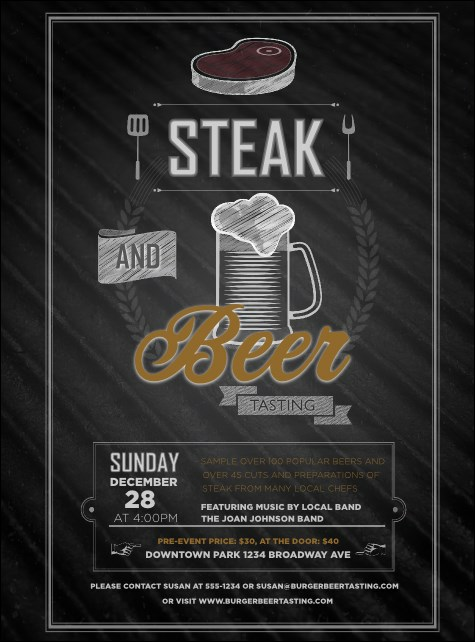 This metallic design features illustrations of steak and a big mug of ale on a black and grey background. Fill out the template below and we'll ship them your way!